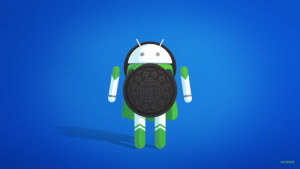 In late October, we wrote about the beta rollout of Android 8.0 Oreo and Samsung Experience 9.0 on Galaxy S8 and Galaxy S8 Plus phones throughout the U.S., the UK, and South Korea. Since last year, Samsung has used the Samsung Plus application’s beta channel to test platform updates and changes in its proprietary fork of Android, TouchWiz, and this year is no different. While there aren’t many user-facing tweaks this time around, there are quite some changes under the hood. To make tracking those changes a little easier, we put together a guide to Samsung Experience 9.0 Beta. Not that we’re not covering any Android 8.0 Oreo-specific features of Samsung Experience 9.0 — just Samsung’s additions. If you haven’t already, check out our rundowns of Android 8.0 and Android 8.1 for a taste of what to expect. The most obvious change in Samsung Experience 9.0 is the upgrade from Android 7.1 Nougat to Android 8.0 Oreo. While both phones already had features like picture-in-picture mode, Oreo brings improvements like notification channels, notification dots, notification snoozing, system-wide autofill, Adaptive Icons, new emojis, smarter copy-pasting, and more. But not all of Oreo’s features are coming to the Galaxy S8 and Galaxy S8 Plus. One notable omission is Project Treble, a modularized framework that simplifies the software update process for device manufacturers. After a few participants in the beta program ran our ADB tutorial to check Treble’s status in the new firmware, they got a “false” output, meaning that Treble hasn’t been enabled. That doesn’t mean Treble won’t make its way into Samsung Experience 9.0 eventually, but it’s ultimately Samsung’s call. We’ll have to wait and see. 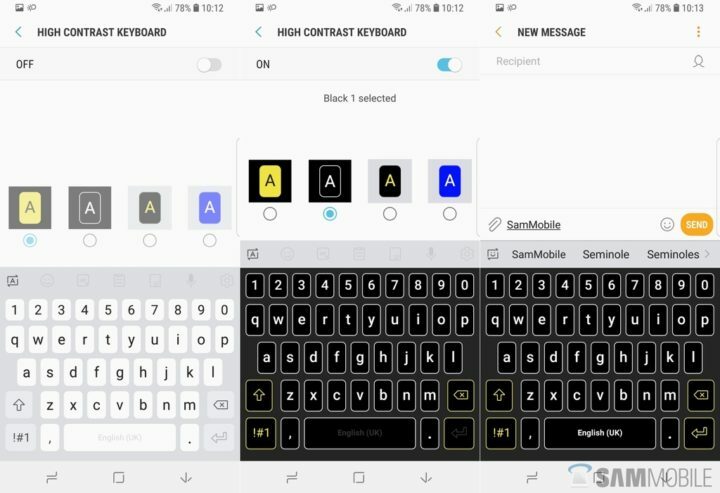 Screenshots of Samsung Experience 9.0 Beta, based on Android Oreo. If you’ve ever used the Galaxy S7‘s Android 6.0-based TouchWiz firmware, you’re probably familiar with Good Lock. Good Lock was an application on Samsung’s Galaxy Apps store that let users customize TouchWiz’s appearance. The appearance of user interface element, from the lock screen to the status bar and Quick Settings panel, could be adjusted. Even the recent apps screen, which isn’t usually tweabable on Android devices without rooting, had an optional “light” theme that replaced apps’ card previews with an itemized list. While most of Good Lock went the way of the dodo in Samsung’s Nougat-based Galaxy S8 and S8 Plus firmware, it’s making a bit of a comeback on Samsung devices in Samsung Experience 9.0. In the latest beta, you can replace the multitasking menu’s card view with a compact list view, if you so choose. But don’t worry if the list view doesn’t suit your fancy– you can switch back to the old card view at any time. We won’t blame you if you’re the kind of person who replaces your phone’s stock keyboard with a third-party alternative like Gboard or SwiftKey — original equipment manufacturer (OEM) keyboards are usually lacking in features and customizability. That said, Samsung’s own keyboard is one of the best OEM keyboards available out there, and it’s getting even better with Android 8.0 Oreo and Samsung Experience 9.0. The Samsung Keyboard now includes a Google-style toolbar on top which puts popular settings front and center. Among other things, it has GIF creation shortcuts and four “high contrast” options that improve visibility. 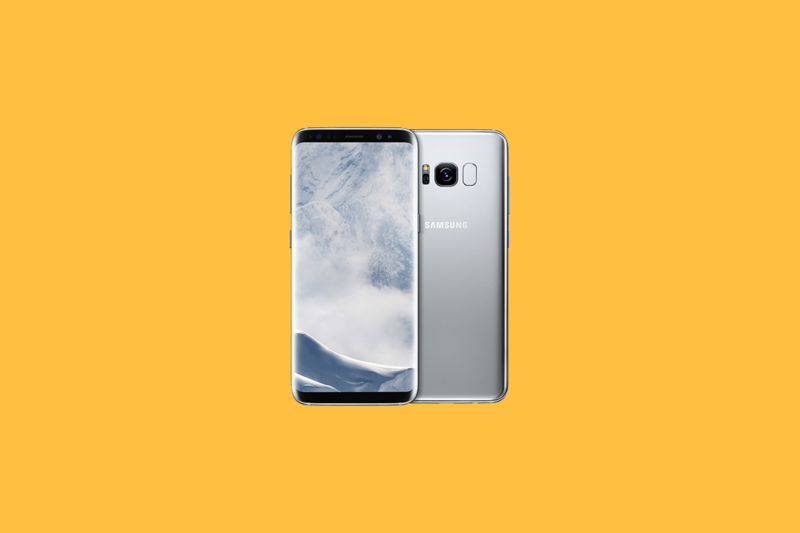 One Galaxy S8 and S8 Plus’s defining features is Edge Lighting, which takes advantage of the phones; curved AMOLED screens to get your attention when an alert arrives. In Samsung Experience 9.0, it’s more versatible than ever. Edge Lighting now has more lighting effects. First is a glow option that’s subtler than the default lighting. There’s a glitter effect that plays a random sequence of colors, and a multi-color effect that cycles through colors. Don’t like the new effects? Not to worry — the classic edge lighting is still available. While TouchWiz’s stock launcher isn’t the most customizable out there, it has a few features unmatched by any other. With the Android Oreo update, it’s getting more home screen options. 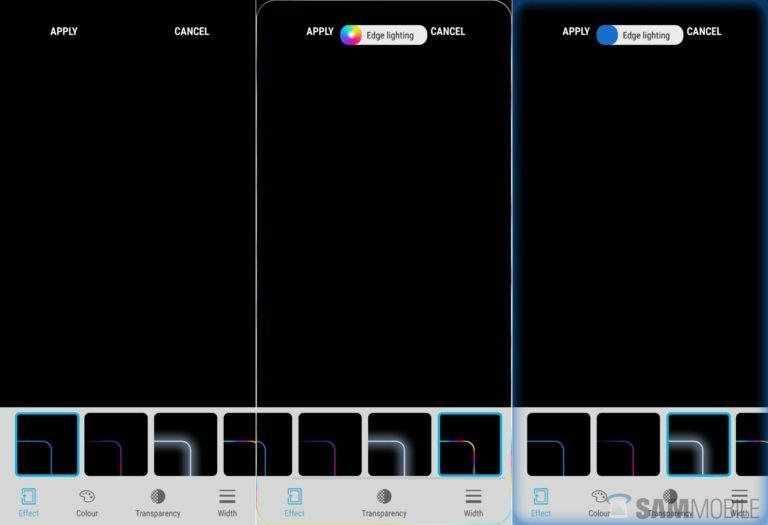 Samsung Experience 9.0 beta adds settings for coloring particular folders inside the launcher — a new color wheel selector allows you to choose virtually any color as a folder background. It’s worth keeping in mind, though, that some colors are restricted by certain third-party themes. The Galaxy S8’s lock screen stands out from the pack with features like a clock widget that shifts from vertical orientation to horizontal orientation when new notifications arrive. The upcoming Oreo update lets you change certain aspects of the lock screen to your liking. One headlining addition is adaptive coloring, which changes the lock screen clock’s colors to match your background. There’s also an option to change the clock widget’s time format: Instead of displaying just hours and minutes, it can now display hours, minutes and seconds. That’s not all. In Samsung Experience 9.0 update, you can change both the lock screen and the Always On Display clock styles, and adjust notifications’ transparency settings. 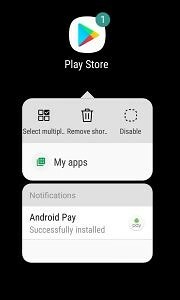 Samsung Experience 9.0 adds Adaptive Icons, app shortcuts and notification dots for the TouchWiz Launcher. According to some users, the whole system feels a lot smoother than Nougat thanks to smaller, system-level modifications. Android app shortcuts have been implemented on the Samsung launcher, as well as notification dots and adaptive icons. The launcher has also received stability improvements. You’re no longer required to tap “OK” after entering your PIN code in the lock screen. Hidden navigation bar gestures for the recents and back buttons, which didn’t work properly in Nougat for some users, should now be working properly after the upgrade to Oreo. You can now move the Edge Tools by pressing and holding it, then dragging it around the screen. Dual Messenger, which allows you to clone an application and sign into each with different accounts, is now a standard feature on the Galaxy S8 and S8 Plus. Samsung DeX has received a slight redesign, as well as stability and functionality improvements. Auto-Repeat and 2x speed controls have been added to the stock video player. Samsung Pay has received small speed and security improvements. A sticky notification now tracks your steps in Samsung Health. You can now tap the digital clock widget to pull up the Clock app. Also, landscape mode and timer sounds are now supported. Do you think we’ve missed something? Let us know in the comment section!